As well as being an innovative manufacturer and installer of energy saving ventilation systems, Brookvent offers a specialist design service using the latest software. Our team is highly experienced in system design and regularly provide professional guidance to Architects and Mechanical Consultants at the design stage of a build. It’s our goal to ensure that the most efficient ducting route can be achieved and that each air diffuser is installed in its optimum position in every room. 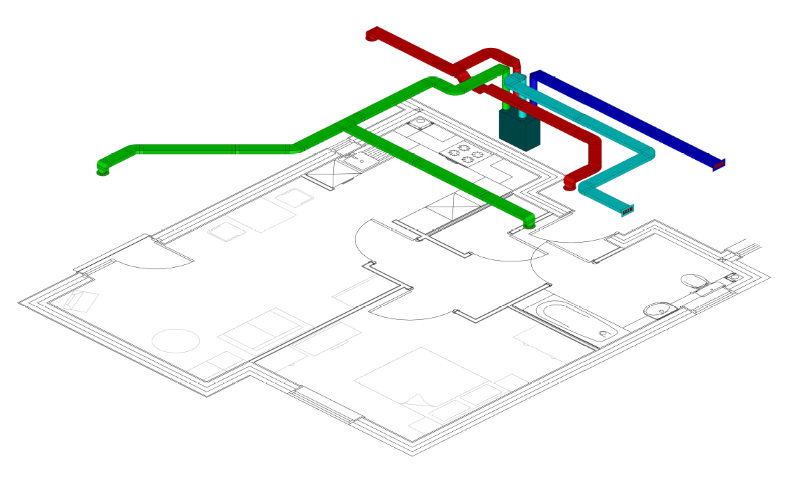 We produce a comprehensive duct design using our custom design software for every project, from one off Self Builds, to full scale developments. This is done in line with the Building Regulation requirements whilst also considering the impact of internal noise transfer and ease of access for maintenance and servicing of units. Submit your design today and let our specialists take care of it… email hello@brookvent.co.uk.